Full-handmade 100 bristles Matcha whisk will make frothy Matcha easily. 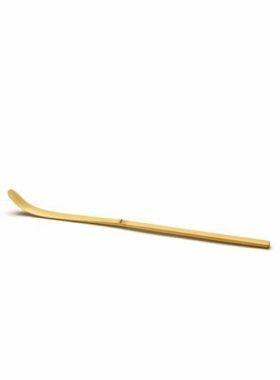 Matcha whisk or Chasen, like an egg-beater, is made by a quality, elaborate-cutting white bamboo. Matcha whisk used to be a necessary utensil of “Dian Cha” in Chinese Song Dynasty. 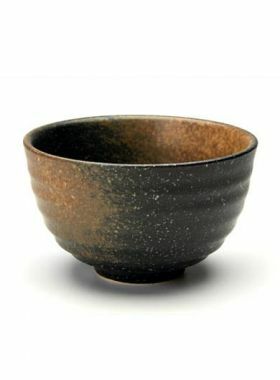 However, due to the changes of Chinese tea drinking habits, we hardly used Chasen, but the use never disappeared. 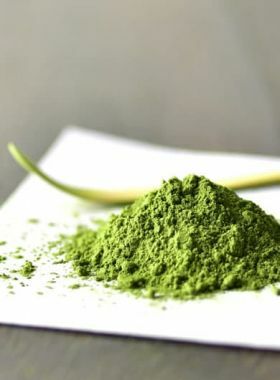 On the contrary, after been introduced to Japan, it has been improved and become an essential utensil in Japanese tea ceremony, which is used to stir tea powder, such as Matcha. 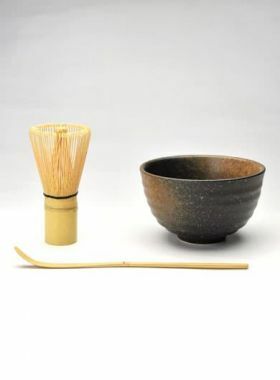 In the process of brewing Matcha, the tea maker will use a slender tea Scoop to take out some Matcha powder and put it into the Matcha bowl, inject some hot water, then quickly mix the powder and water with the Matcha whisk, during which will produce affluent foams. Remember to clean up the Matcha whisk after using and put it away after drying. 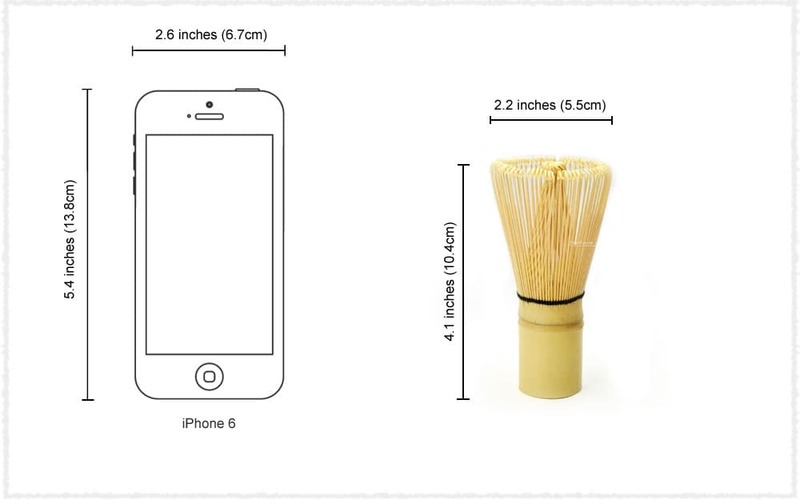 It is worth to mention that because of different number of bristles, Matcha whisk can be divided into 16 bristles, 36 bristles, 54 bristles, 64 bristles, 72 bristles, 80 bristles, 100 bristles and 120 bristles, etc. Different bristles of Matcha whisk can make different flavors of Matcha. Thin Matcha(薄茶):big tea volume with more foams, taste cool and refreshing. Thick Matcha(浓茶): small tea volume with less foams, taste rich and mellow. 1. The bristles of a new whisk are twisted. After soaking in tea liquid, they will turn straight and cannot recover. This is a normal phenomenon. 2. The amount of foams is related to the amount of tea powder, water and the Matcha whisk. Under the same condition, the whisk with more bristles will make more affluent foams. 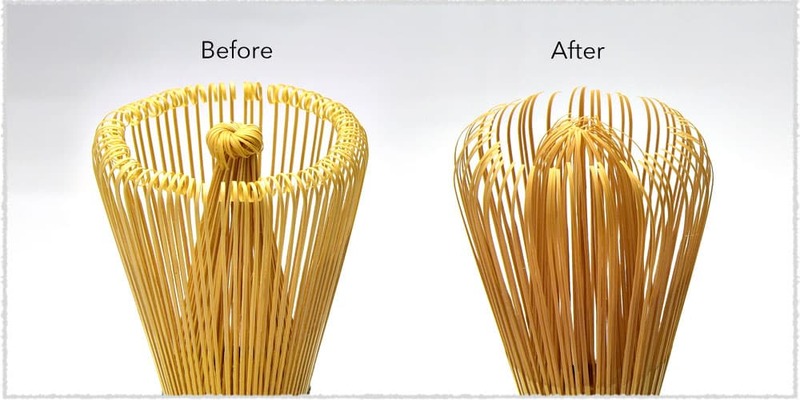 Besides, we recommend moving the bamboo whisk quickly like writing the letter "Z" or "W". This method creates nice foams. 3. 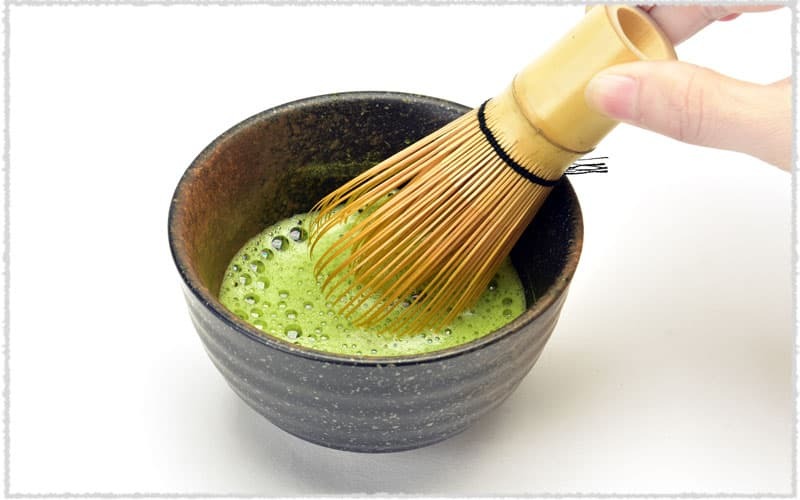 Before we use it for the first time, please clean the Matcha whisk with cold water firstly and then use warm water to clean for several times. Do not soak the whisk directly in hot water, otherwise it will be damaged.